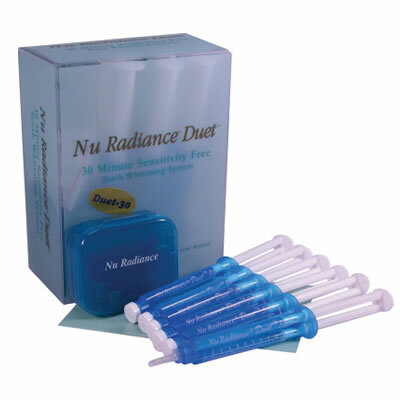 Duet | Nu Radiance, Inc. It uses a dual-barrel syringe system that blends carbamide peroxide and a water-based activator for fast whitening and elimination of fluid movement, which prevents the onset of sensitivity. Duet is available in concentrations of 15% and 18% carbamide peroxide with accelerators and hydrators.